The Chief Imam of Iwoland, Sheik Abdulfatai Olododo, has said the removal of Chief Abiola Ogundokun as the Basorun Musulumi of Iwoland by the Oluwo of Iwo, Oba Addulrasheed, is in order. The chief imam said there was nothing strange in the removal of Ogundokun, a former chieftain of the Peoples Democratic Party, by the monarch, who he said had the absolute power to appoint or remove title holders. The chief imam said this in a telephone interview with our correspondent in Osogbo on Friday. Olododo said the monarch was right to strip the 82 year old of the Islamic title because the title was conferred on him by the institution of Oluwo. He said, “Oluwo is right to strip him of the title because he was the one that conferred it on him. He has the right. I am not part of those, who are saying the Oluwo has no right to strip him of the title of Basorun Musulumi. Another Islamic leader in the town, Alhaji Bashir Omotokese, said the Chief Imam had never said the Oluwo was not competent to remove Ogundokun as the Basorun Musulumi. Another Islamic leader in the town, Alhaji Mutiu Abludazeez, who said four of them including Ogundokun were conferred with various Islamic titles by the late Oluwo. He said the Oluwo had the right to confer Islamic titles on Iwo people because the practice and the tradition in Iwo was quite different from other towns especially in Yorubaland. He said, “Oluwo is the consenting authority regarding Islamic titles in Iwoland. He is the one, who appoints the chief imam and there was a time when the Oluwo stool was vacant for years, there was no Imam also. 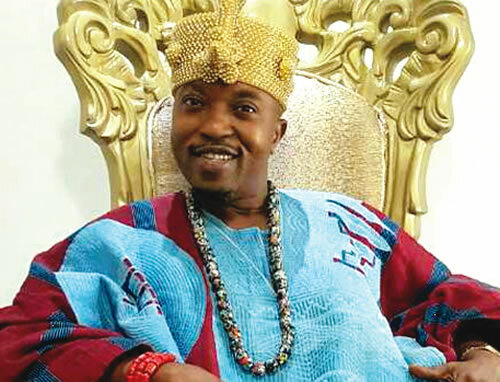 The Oluwo had last week announced the remover of Ogundokun as the Basorun Musulumi and other chieftaincy titles conferred on him by the Oluwo over allegation of disrespect and working against the development of the town. Ogundokun while reacting to the monarch’s action said he lacked the competence to strip him of the titles because he was conferred with them long before Oba Akanbi ascended the throne.